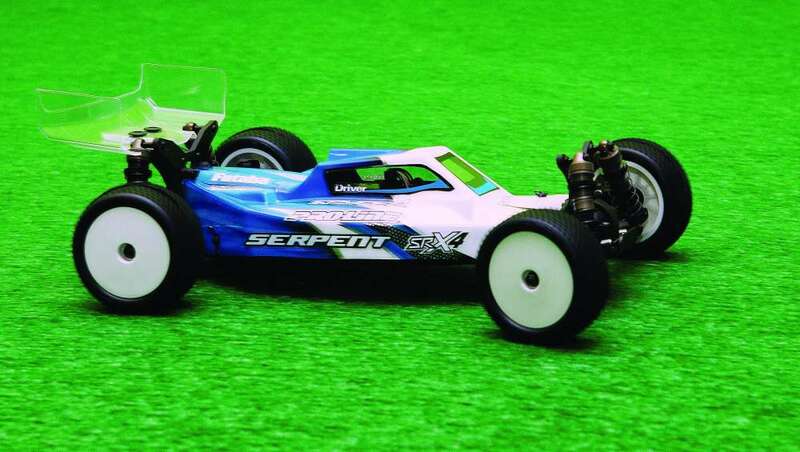 When it comes to 1/10 electric off road racing, four wheel drive mod buggy is probably the class I enjoy racing the most. Perhaps it’s because no matter how I set up the buggy, good or bad, I can get it around the track fast. Fast, of course, equals fun and that’s why we do what we do. Yeah right, I’m in it for the competitive high and four-wheel drive racing can be intense. 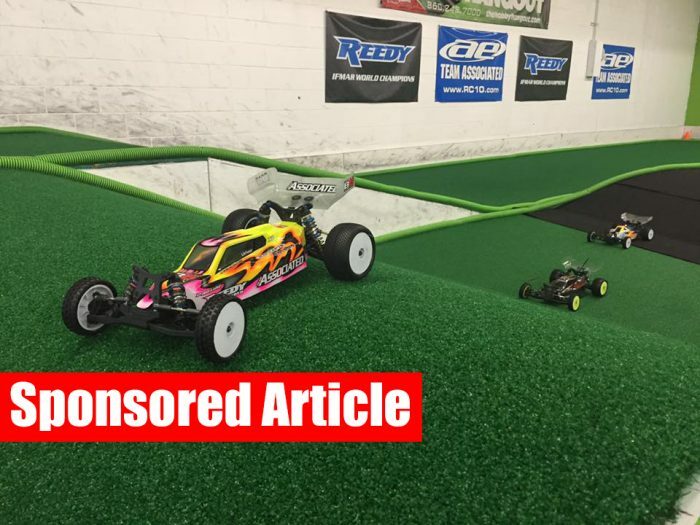 Because of the fast competition, manufacturers have to be on point with their vehicle offerings and Team Losi Racing stepped up in a big way with their 22-4 platform revamp. The 2.0 is loaded with new features that make it much different from its predecessor. There are now gear diffs, a new rear arm setup, improved durability, and popular parts are included. There’s just a lot going on in this new buggy and we need to get into it. From its aggressive stance to its performance handling, the new 22-4 2.0 is purely built for competition purposes on a variety of tracks from high traction clay to carpet and turf. 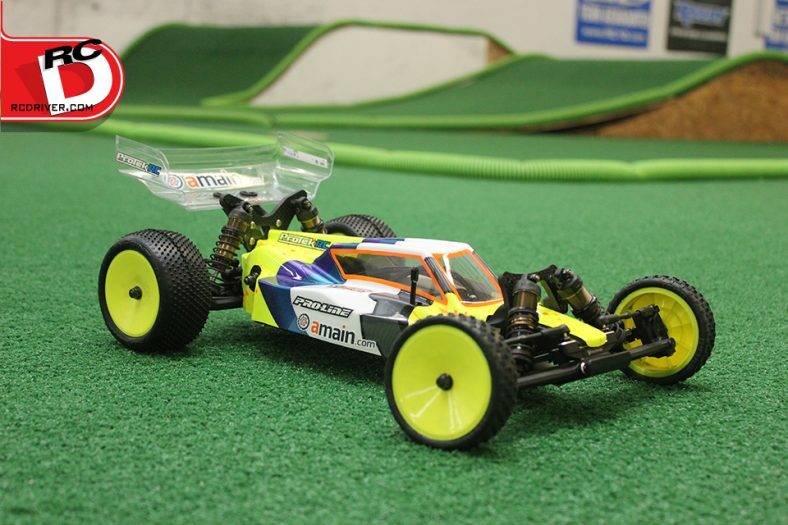 The build is smooth and the refinements over the 1.0 are impressive, it’s apparent the TLR crew has been hard at work developing a race car to fit different track styles while making it a machine racers of any caliber can handle. 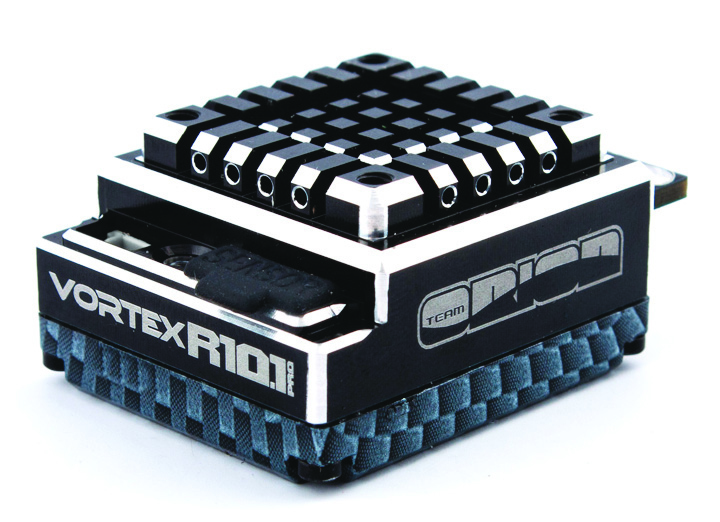 • Team Orion R10.1 Brushless ESC, Team Orion’s ESC’s have racked up lots of win thanks to their efficiency and tunability. The compact footprint fits nicely into the 2.0’s chassis space. • Spektrum S6240 Servo, The new servos from Spektrum have leads that plug in allowing you to use the stock lead or optional leads of varying length. 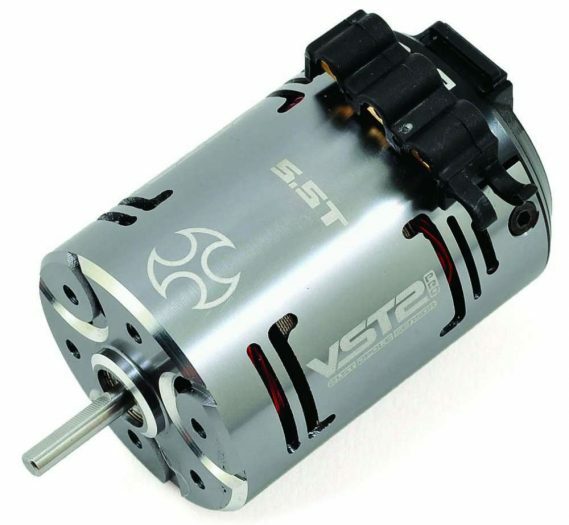 The servo also has an aluminum case for durability and of course impressive torque and speed output. 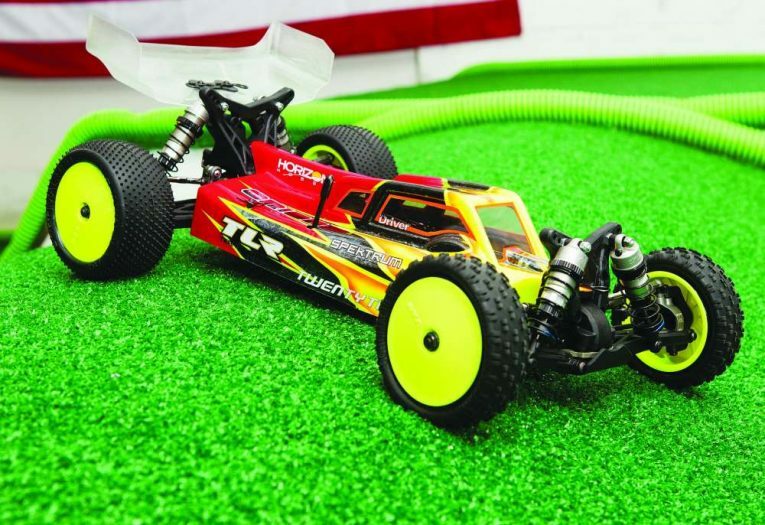 • Team Orion VST2 Pro 5.5T Brushless Motor, When it comes to 4WD, the buggy needs power to be competitive and a 5.5T from Team Orion packs serious punch, top speed and efficiency. 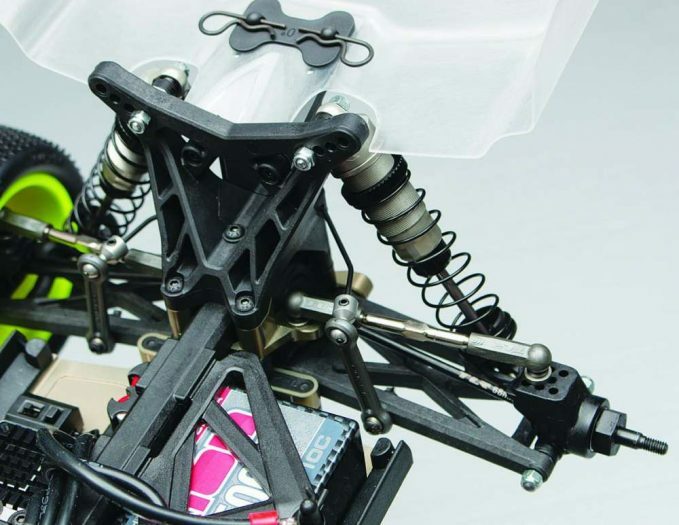 • Aluminum Servo Hort, TLR334010, TLR334011, TLR334012, High grip tracks put a lot of stress on parts all the way down to the spines on a servo. Upgrading to aluminum will help eliminate stripped splines. • Sway bar kit, TLR334006, For additional tuning, having the swaybar set on hand can help dial the buggy in to different track conditions. 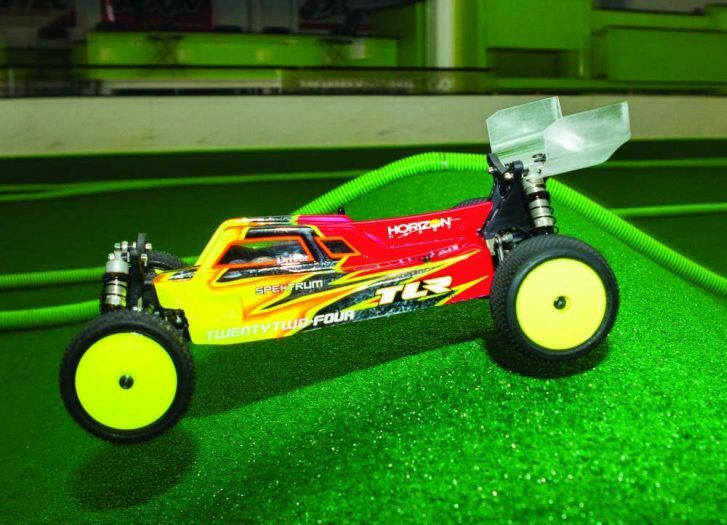 • HRC Pivot Set, TLR234017, For turf track racing, having the HRC set on hand may help tune the buggy in to track conditions. 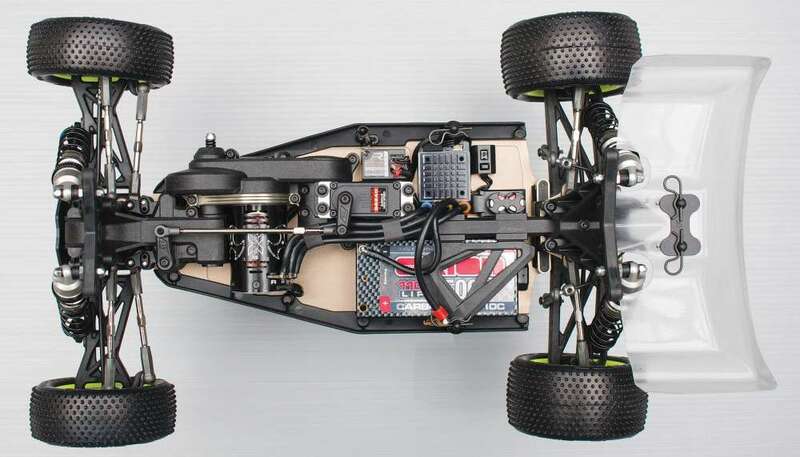 The chassis on the 22-4 2.0 is similar to the 1.0 in terms of length and shape, however the areas on the chassis that are milled have been changed. 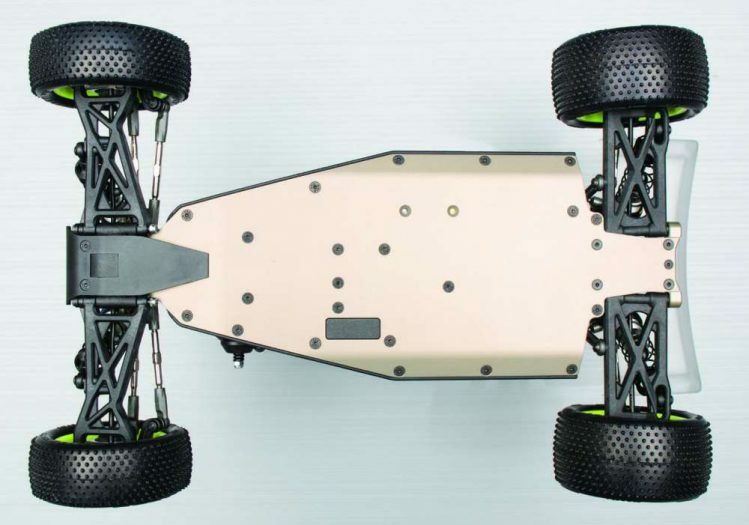 The pockets in the chassis are shallower in order to make the flex more consistent. The layout still allows you multiple battery configurations such as a shorty pack along the right side or saddle packs with the ability to move the left cell to adjust weight bias. Other alterations to the chassis areas are the belt tunnels. Now the belt covers are separate so you can remove the belts easier for maintenance. The tunnels have also been widened around the diffs to accommodate the new gear differentials which we’ll talk more about later. 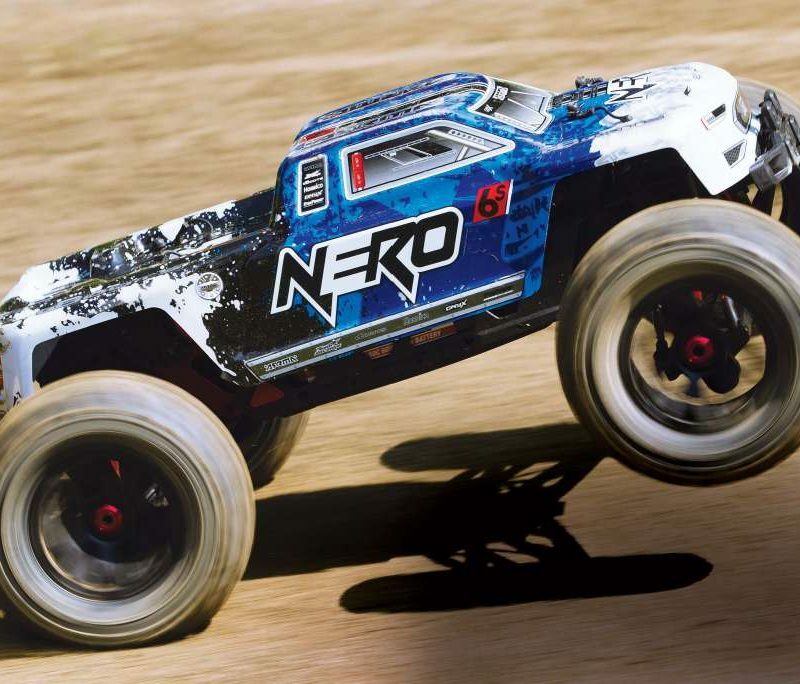 The suspension setup has changed slightly on the new buggy in comparison to the 1.0. 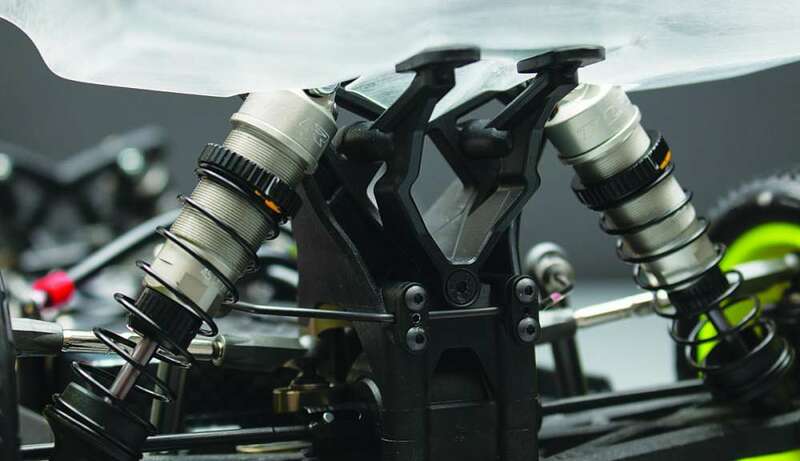 The front suspension geometry is the same; however, because TLR had to rework the front supports and chassis to accommodate the wider diffs, they took the opportunity to rework the molds on the arms and beef them up for better durability. They also added a stamped steel arm brace instead of the intricately cut brace that raised prices on the previous kit. The rear hub and hex setup are from the 22 with the original 22 3-2-3 hubs and 22 hexes which give the rear of the buggy a wider stance. Right now you can’t flip shock locations to the front of the arms but TLR is working on a running change to do so. 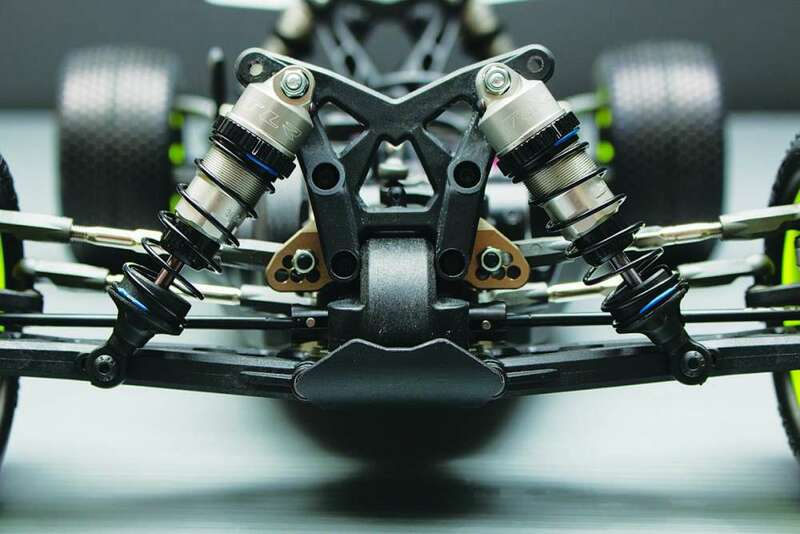 The kit comes with the aluminum LRC pivot blocks and a pink rear swaybar to help keep the chassis flat in the corners. The shocks are the super smooth Gen II shocks with dual seals and threaded aluminum bodies. 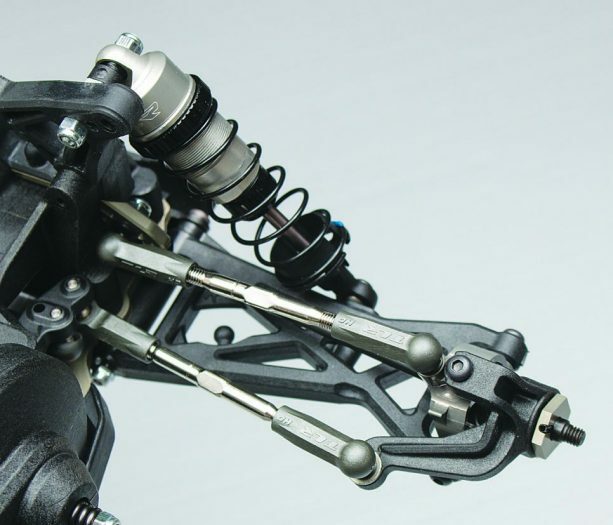 The steering remains unchanged as well but now uses the B-arm over the crank. The cranks are supported by ball bearings for smooth operation. HD rod ends and high strength metal turnbuckles allow for toe and camber adjustments on the car. Now let’s talk about the big deal on the buggy: the diffs. I’ve kept you in suspense long enough. The differentials are new to the 2.0 and they are gear diffs instead of ball diffs. They are a planetary style, too, which is different than the convention bevel gear style diff. The planetary gear diff route was taken so the diffs could be narrow, lightweight and effective. Fluid is used to tune the differentials and offers a much more consistent feel on high bite clay tracks to turf tracks. The belt tunnels were widened to accommodate the slightly wider than original diffs. The good news is shims are included to properly space and fit the ball diffs into the new tunnel space. However 1.0 owners who are reading this, you can’t drop the gear diffs in your old kit, you’d basically need way too many parts for the conversion and are better off selling your old kit to pick up a new one. 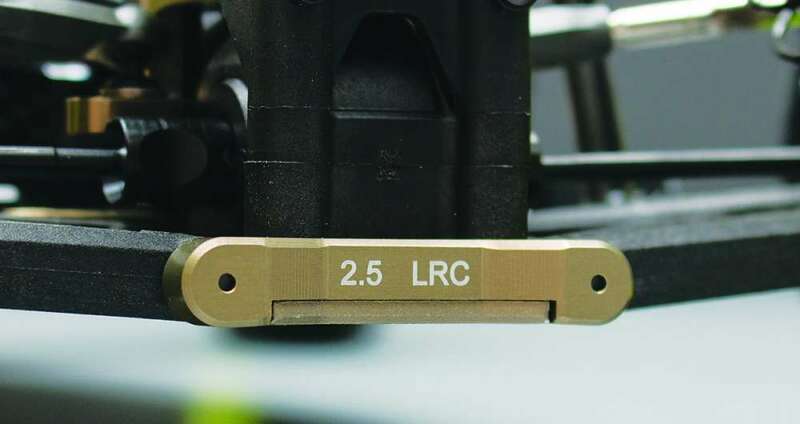 Other great features on the buggy include 12.5-degree aluminum caster blocks for better durability and I like how TLR clearly etches markings on the blocks for easy identification. An aluminum vertical ball stud block and rear hinge pin mounts are also included for more durability on these high stress areas. Front and rear CV axles are included with the rear bone being all new to fit the 22 hub and hex off-set. And finally the cool, aggressive cab forward body which we sent to Larry at Kustom RC Graphics for the cool paintwork in a short turn-around time. The build up of the kit was fairly straightforward. The steps and bags are clearly marked and guide you through assembly with some tips scattered in. During the build, I did notice that the rear CV axles did feel as if they had some slight bind and after messing with them for a few minutes decided to just put them in and let them wear in. 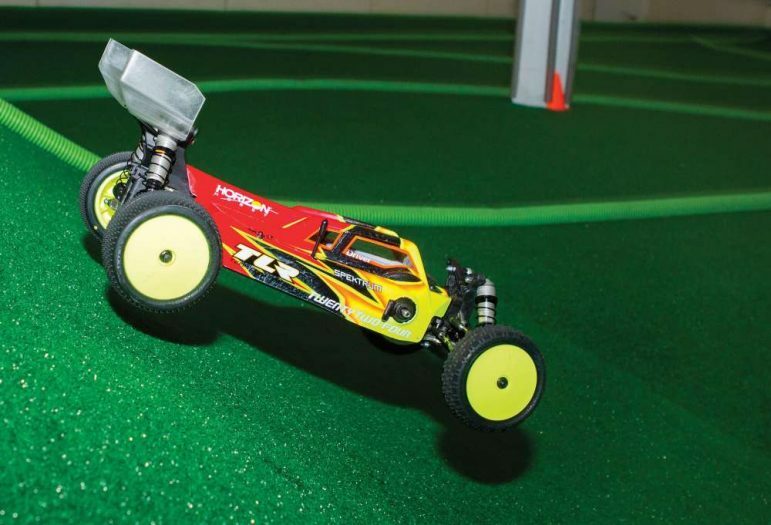 To test the new TLR 22-4 2.0, I took it to my track, The Hobby Hangout in New Milford, Connecticut, an indoor 1/10-scale off-road turf facility. 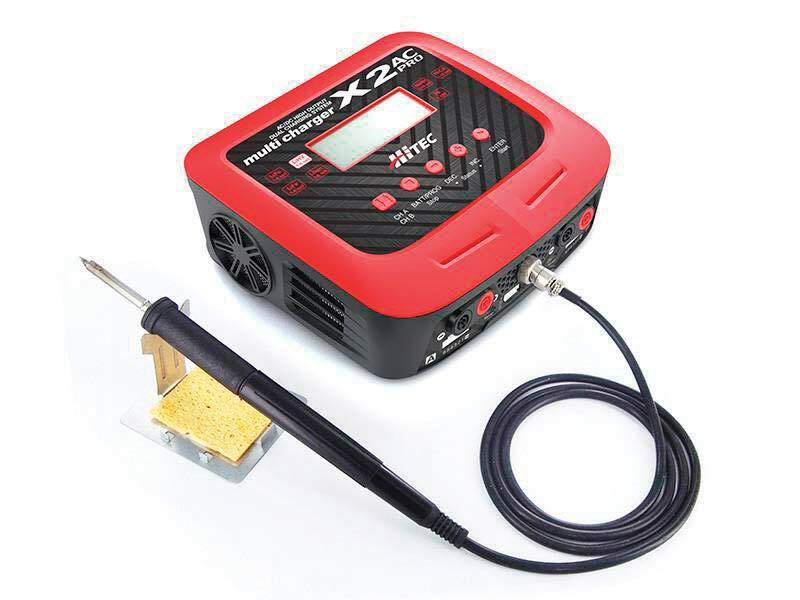 Although some are still dead set against running their off-road cars on turf, it proves to be a tough surface to drive on, get cars dialed in to and can certainly test durability. The layout at The Hangout suits stock racing well, so when hitting the track with a 4WD and a hot mod motor strapped in, the first few laps were a bit wild with the buggy overshooting landings of the jump until I adjusted my driving from lots of previous laps with a stock powered car. I will say, however, even with overshooting some jumps, the buggy takes flight nice and level and when hitting the flat landings only had minimal bounce off of the hardwood sub floor. Once I got my timing in check, the 2.0 was super smooth on both landing and take off. The turf requires squaring the car up perfectly to hit the jump right or the traction from the turf can cause the car to veer off but the 22-4 didn’t have issue with the high bite and sailed off jumps easily and a tap of the brakes dropped the nose down for a smooth landing. Landing with the rear would cause the car to slap a bit but the need to regain control was minimal. Over the ripple section, the buggy handled it with ease, skimming across the tops of the bumps. On turf there is tons of traction, which is why lots of drivers like this surface. You can throw just about any tire on the buggy and it will hook up. I ran cut staggers from Schumacher in the front and there was gobs of steering to the point where I had to dial the EPA back on the radio. I knew there would be plenty of steering because the 1.0 steered well on dirt back during its test, but the 2.0 really corners hard on turf and can carry speed similar to a touring car. Since turf is instant traction with new tires, the 22-4 2.0 had plenty of bite and launched hard wherever I pulled the throttle. Once the tires where down, there was some wheelspin that took a little time off of a lap but we’re talking time to the right of the decimal. Braking, too, is easy, thanks to traction and the buggy slows up fast for the tight corners. As I mentioned, turf is hard, there is minimal tire slide and with no give, it’s harder on parts. There is also the hardwood of the floors and jumps to contend with and because of all of this there were plenty of loud thuds during testing. 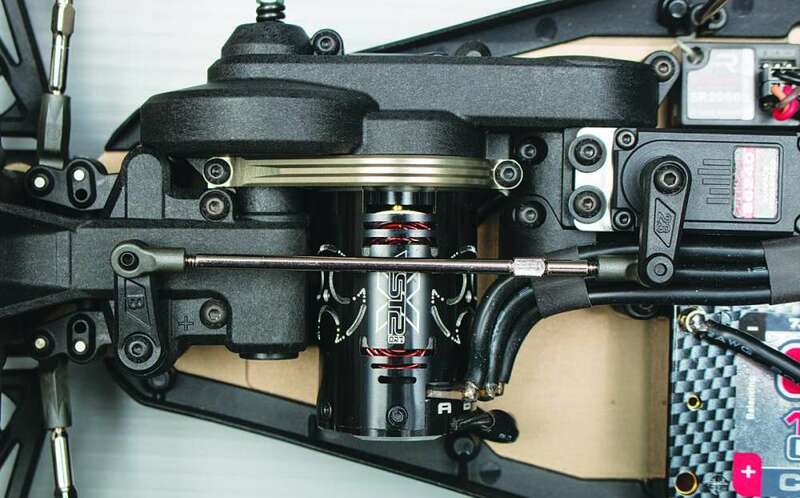 However, there were no issues to report other than having to set the slipper clutch a little tighter to accommodate the traction when paired with quick throttle response. With the body off, the TLR 22-4 2.0 looks very similar to its predecessor. However, as you may have come to your own conclusion, significant changes have been made. The gear differentials are a huge change to the buggy and along with it, other parts were redesigned or refined for improvement in both performance and durability. We tested our buggy on turf, which is actually a very tough test surface. On turf, there is no give, the sub-floor is hard and if you are not on point, you are in trouble fast. The TLR 22-4 2.0 showed excellent performance characteristics and came out of the testing unscathed. 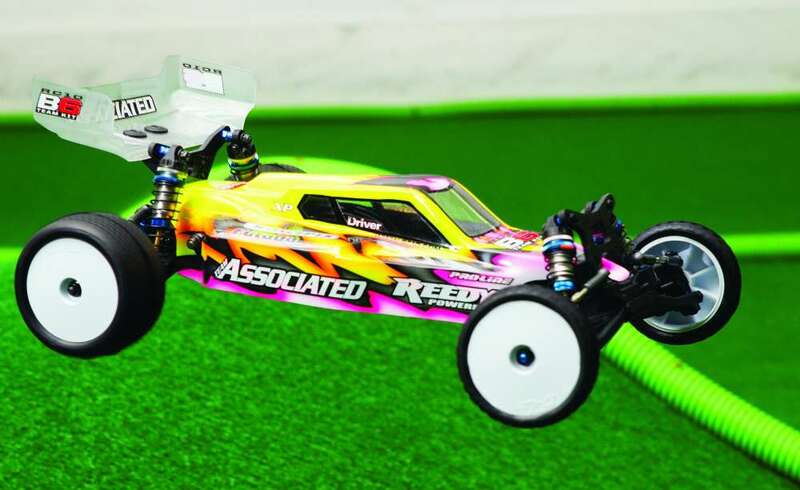 It’s a true competition machine but TLR managed to price this new buggy where it is affordable for those who have been thinking of adding a class to their racing program.